Buying American-made toys gives you an opportunity to support manufacturing workers in the United States and recapture some of the magic of the iconic toy brands of your childhood. Although the vast majority of toys sold in the United States are manufactured in other countries, there are plenty of shopping options for playthings crafted in the USA. Some of these include the classics that have delighted American children for generations. According to this report from the United States Department of Commerce, 96.51% of the toys sold in 2010 were imported from other countries, and 85.48% were imported from China. Since less than four percent of toys are crafted by United States workers, it may seem challenging to find those items amid the sea of imported playthings. If you buy toys from one of these brands, you can be sure you're getting a product that was made in the USA. 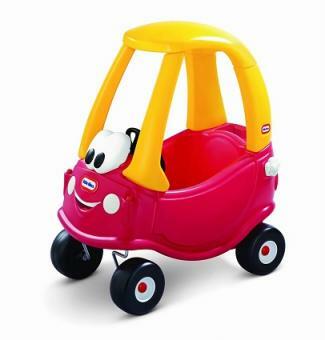 Although Little Tikes sells many toys that were made overseas, they also have a large selection of toys made in America which are given their own category on the manufacturer's website. Options include several different play structures, ride-on toys, and building toys. K'Nex is proud of its reputation as the only building toy made in the United States. Although not all products and parts hail from American factories, there are dozens that do. You can find these products clearly labeled at the K'Nex website. The Original Slinky is still made in the United States, just as it has been for more than 60 years. 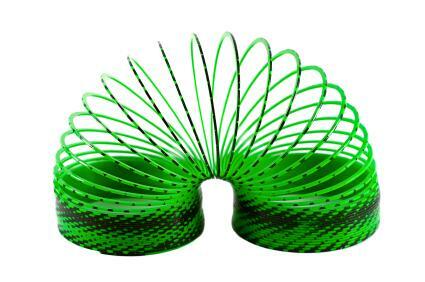 Many other Slinky brand products are also domestic including the neon plastic version and Spinwheels toys. The adorable teddy bears from the Vermont Teddy Bear all originate in the USA. These beautiful stuffed animals feature quality construction and dozens of options for customization. Willow Toys specializes in handmade toy kitchens crafted in New Hampshire. Each piece is made of solid wood. In addition to toy kitchens, you can purchase doll houses, toy stands, and other heirloom toys. If you're looking for beautiful, lead-free marbles that are crafted in the United States, Marble King is your solution. This company makes endless variations of marbles, and you can even order unique handmade marbles. Making everything from sand pails and shovels to toy trucks and pretend play equipment, American Plastic Toys offers a great selection of playthings. All of them are made in the United States. Famous for creating the classic yo-yo, Duncan still makes this iconic toy in America. They also produce a variety of gyroscopes, yo-yo accessories, and other fun products. Made in the USA of environmentally-friendly plastics, Green Toys has products for infants, toddlers, and older children. You'll find trucks, pretend play items, and even kids-only eating utensils. 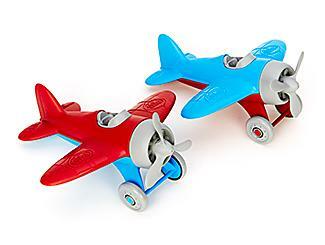 In addition to these specific brands, several Internet retailers specialize in selling toys made in the United States. If you're shopping for an American-made gift for a special child, try one of these sites. Fat Brain Toys sells educational toys for kids of all ages. They have a selection of more than 500 toys and games that are crafted in the United States. Toys of USA limits their selection to toys made by American workers. They have dozens of options for babies and children of all ages. Made in USA Forever sells all types of products made in America. Their toy section is extensive and includes everything from puzzles to riding toys. If you're looking for a handmade toy, Etsy has a great selection of items. Simply choose one made by an artist from the United States to make sure your toy was made domestically. Following a spate of recalls for lead paint and other toxic substances, the US Consumer Products Safety Commission reworked its standards in 2008. According to the Toy Industry of America, every toy sold in the United States, regardless of where it was manufactured, has to comply with the safety standards for USA-made toys. These standards include strict regulations about lead content, choking hazards, entrapment hazards, and more. Although the majority of toys are made overseas, many of the best toys are still made in the USA. If you're looking for a special gift to delight a child and want to support companies who employ American workers, you'll have no shortage of shopping options.